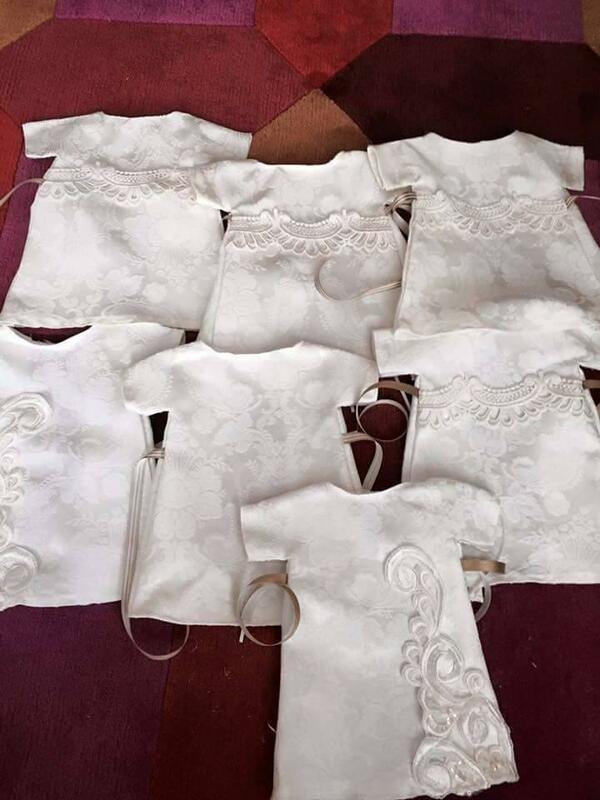 These burial gowns for babies were cut from one generous bride’s wedding dress. 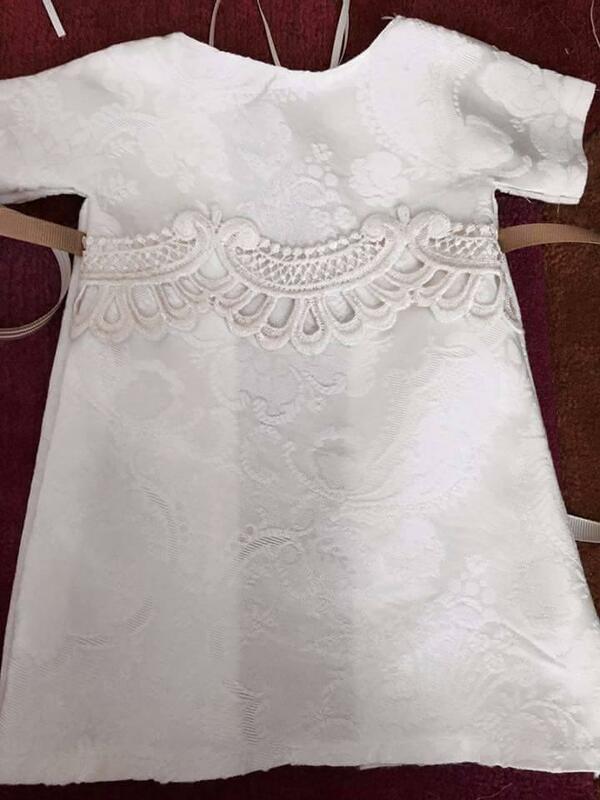 If you wore your wedding dress for just that one magical day then zipped it away in bag and stashed it back in your closet, Yvonne Trimble has an alternative idea for you. And trust us, if you do what she did with her gown, you’ll feel just as many feelings as you did during the Big Day. 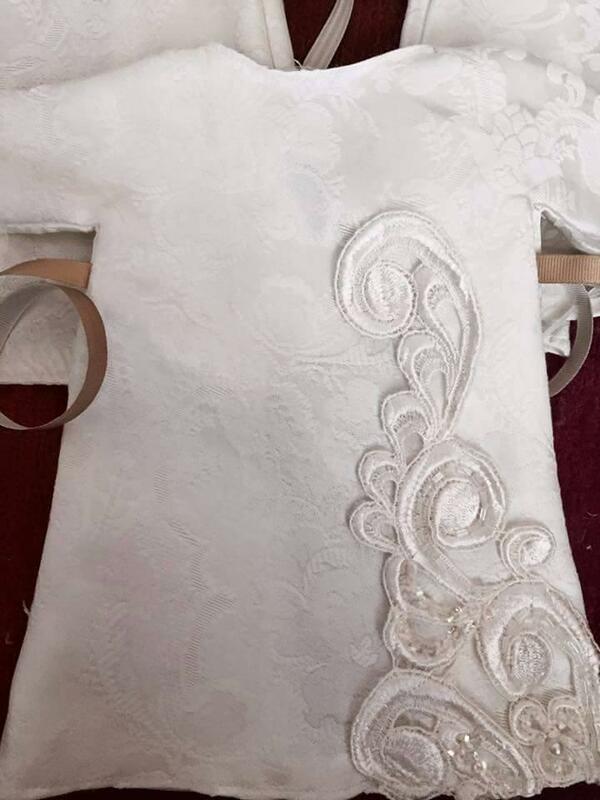 The newlywed was so moved when she received photos of five tiny dresses made with her gown that she wrote an emotional post about them on Facebook — which quickly went viral. It has 57,000 (and counting!) shares from Trimble’s personal account alone. “A mix of emotions swept over me when I received [the photos]; pride that I’d done something good, sadness that it’s necessary for these gowns to have to be made, relief that I’ve never known this heartbreak, and a sense of thankfulness that volunteers around the country give up their time to produce such comforting garments,” Trimble wrote. Her post garnered so much attention that the charity has temporarily suspended dress donations, as they’ve been deluged with offers. The attention has been “overwhelming,” she says. But her story truly shows the power of the Internet — and the power of a good deed. FYI, even though Cherished Gowns and the NICU aren’t currently accepting dress donations, here’s a great list of other meaningful places to donate your wedding dress if you decide it’s the right choice for you.